His “tool critters” series brings life to otherwise inanimate tools, such as the wrench grasshopper, while the “Kings of the sea” series reflects the danger and wonder from those who rule the depths of the sea bottom. David spent late summers and holidays of his childhood on a creek flowing into the Chesapeake Bay, in coastal Maryland. He also spent formative years living in Paris, France, the son of an American diplomat, where he was surrounded by art. Later he has lived both in Washington DC and Charleston South Carolina. Even as a child, living on the Bay, he would take driftwood and found objects often deposited by the high tides and repurpose them into art objects. 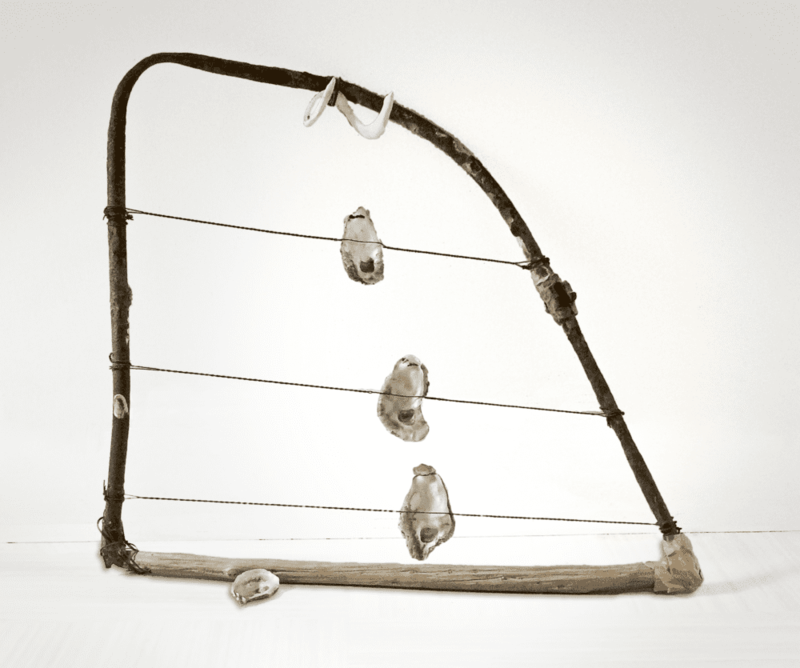 The Bay provided an interesting and bountiful source for found materials, which would later become the inspiration for a number of his current works, his metal art series of “Sea Creatures”. David graduated from the College of Charleston, in Charleston, South Carolina, where he majored in theater and where his focus was on prop design and fabrication. There he studied studio art and matured his interest in metal sculpture. He did post graduate work in metal fabrication and welding to develop his interest in metallurgical art. His most recent body of work, “Kings of the Sea”, is both theatrical and tactile. It is fabricated entirely in metal. He has now returned to the Chesapeake Bay and established the “Dunn In Metal” Studio overlooking its marshes and creeks. Dave Dunn’s work is represented in private collections in New York City, Key West, FL, Malibu, CA, Washington, DC and the Chesepeake Bay area.